All serum processing steps take place in PAN-Biotech's own production facilities in Aidenbach/Germany. Pooling, sterile filtration and aseptic filling take place in clean room atmospheres set up according to GMP guidelines. Raw material is obtained exclusively from facilities listed in the European Union TRACES system. 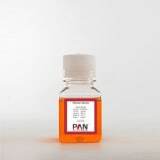 PAN-Biotech warrants the submission of a complete documentation, consisting of a certificate of origin and a veterinary certificate, shipping documents and a certificate of analysis. Furthermore, every single procedure during an individual production process is documented and then summarized in a production protocol. 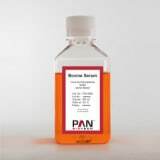 Various cell culture applications are suitable for other animal sera.